Himalayan rock salt lamps are very popular recently, as they are one of the best natural ways to boost overall health in various ways. “When the salt lamp is warmed by a light bulb it releases negative ions into the air. These negative ions are what we find when the air is “fresh” like at the beach, in the mountains, near a waterfall or even when taking a shower! Negative ions are invisible, odorless molecules that basically damp mop the air free of pollutants. Then they take those vapors back to the Salt Lamp where they are dried out trapping the pollutants inside the salt — and then the cycle repeats. A study by the US Department of Agriculture reports that when a room is “ionized”, there is a decrease in dust in the air by 52% and reduced bacteria up to 95%. Salt Lamps remove mold, dust, and allergens from the air thus helping with asthma, allergies and fatigue as well as improving mood, lessening anxiety and promoting better sleep patterns. This is in addition to strengthening the immune system. However, if you own one, we advise you to check on the brand, as thousands of these lamps have been recalled. 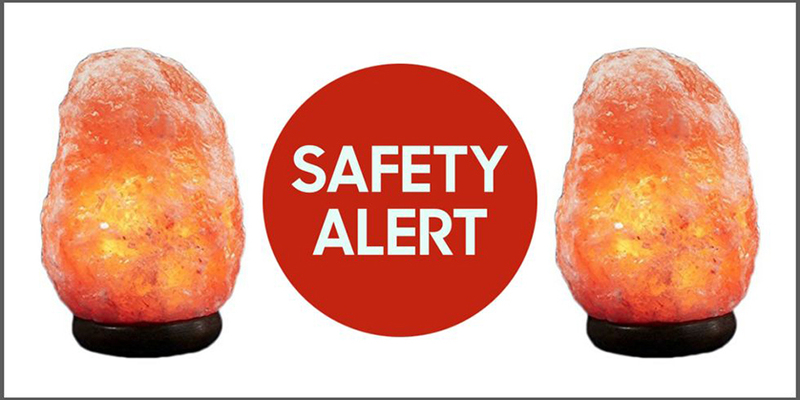 To be more specific, 80,000 Lumière pink salt lamps, sold between July and November 2016 at Michaels or through Amazon, were recalled after it was found that they could shock or catch fire. The dimmer switches ad outlet plugs of three kinds of these lamps, the Lumiere Basket of Rocks, Carnival of Lights and Rock of Gibraltar lamps could overheat and ignite. -The Basket of Rocks (SKU 495146, UPC 00886946056277). If you own one of these lamps, unplug it right away, and then go to Michael’s to receive a full refund. Yet, do not stop to reap the benefits from these lamps, as they are countless!